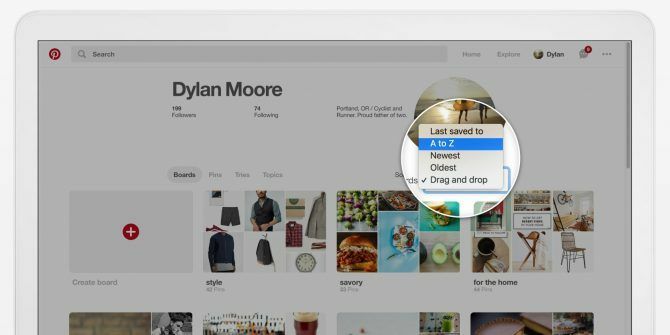 Pinterest is finally listening to its hundreds of millions of users and making it easier to keep your boards organized. To this end, Pinterest has rolled out a number of new tools designed to help your pins, boards, and sections looking exactly the way you want them to look. The first change is the option to archive boards once you’ve finished with them. As an example, a board for wedding ideas can now be archived once the big day has passed. This will not only help you clean up your profile but also improve the relevance of your recommendations. To archive a board just tap the Edit button followed by Archive. You can also now reorder the various sections on a board. Sections being a relatively new feature that lets you organize pins into different topics. Just open a board, tap the Organize button, and then drag and drop the sections into the positions you want them. You can also sort your boards by alphabetical order, most recently saved to, board creation date, and custom order. Just tap the Sort boards button followed by your choice of arrangement. Unfortunately, this is only available on the web. Last but definitely not least is one of Pinterest’s most requested features… the ability to rearrange pins! You’re no longer stuck with pins being in the order you saved them. Instead, you can move them around a board as you see fit. Just tap Organize on a board or section to drag and drop pins to new positions. These features should be available right now on the Pinterest website, and available on iOS starting with version 6.44 and on Android starting with version 6.52. Individually, these tools are only minor improvements to the overall Pinterest experience. However, collectively, they will help people organize their boards. And if there’s one thing that’s certain about the average Pinterest user, it’s that they like things to be organized 12 Evernote Tables to Keep Your Life Organized 12 Evernote Tables to Keep Your Life Organized Tables are an often overlooked Evernote feature. They can help you stay organized. We'll give you a dozen ideas and Evernote table templates to start with. Read More . Do you use Pinterest? What do you think of the new tools to help you keep your boards organized? Are you going to instantly set about tidying everything up? Or are you happy to have everything disorganized? Please let us know in the comments below! The best tool ever for managing the Pinterest is PinPinterest [com] and there are no second thoughts about it. After using it for 4 months now, I must say, it has contributed a lot in adding the followers and boosting my earnings too. Firstly, it is absolutely amazing investment especially when it comes to the artificial intelligence that it uses to pin the relevant items, find and show the right content which will be popular with my target audience. And to top it all, the great help it offers in scheduling the pins automatically and what I need to do is just feed my preferences once a week and it does the rest of the job. I love that I don't have to create multiple PinPinterest accounts to manage multiple Pinterest accounts. I can manage them all at one place. You give the following advice - "To turn off Tinder Social, head to your Tinder settings and flick the switch to Show Me On Tinder Social. " Read that again - "To turn off...flick the switch _to_Show_Me_on_ Tinder Social". That's poorly worded. This should say "To turn off Tinder Social, head to your Tinder settings and flick the switch to turn off Show Me On Tinder Social. The switch should be greyed-out".